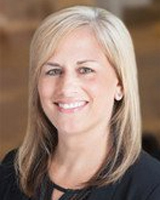 Jennifer Piccione serves as Vice President and General Counsel to Salvi Sports Enterprises. Jennifer works closely with President, Pete Laven, in overseeing the business operations of the Salvi owned franchises made up of the Schaumburg Boomers (Frontier League), Gary Southshore RailCats (American Association), and the North Shore Navigators (Futures Collegiate Baseball League). As General Counsel, she is also responsible for leading corporate strategic and tactical legal initiatives for the organization.